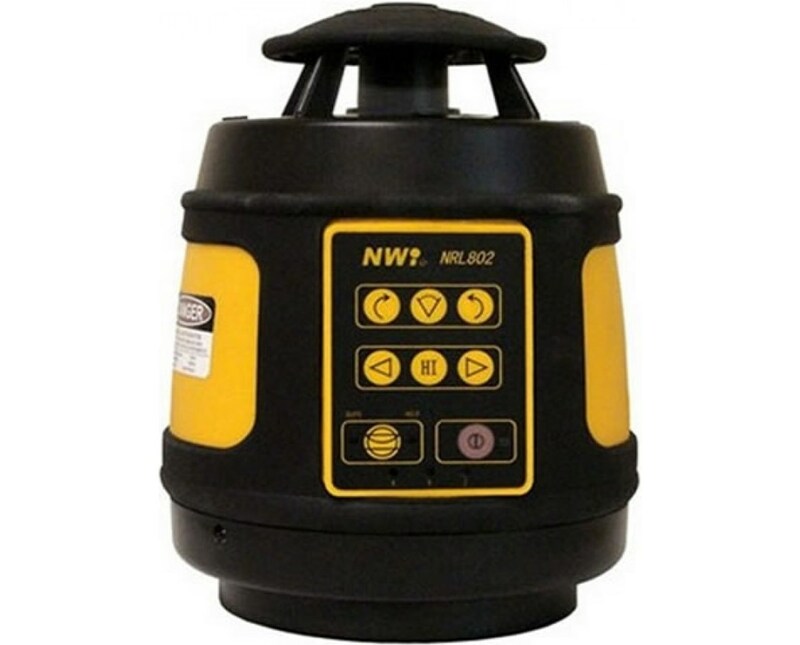 Offering a continuous 360-degree coverage, the Northwest Instrument NRL802 Series Self-Leveling Rotary Laser is ideal for squaring and layout partitions, wall and tile floor installations, short-run vertical alignment, and matching existing slope. Self-leveling within ±5 degrees, it offers a horizontal accuracy of ±1/16 inch and a vertical leveling accuracy of ±1/8 inches at 100 feet. Also, it has an operating range of up to 2,000 feet with the NLD5G laser receiver. The NRL802 is equipped with high-quality tilt sensors and an electronic Servo motors that provide accurate and consistent leveling in both horizontal and vertical directions. Also, it has a 600 rotation-per-minute rotation speed and three scan angles of 10, 20 degrees and a dot scan angle. 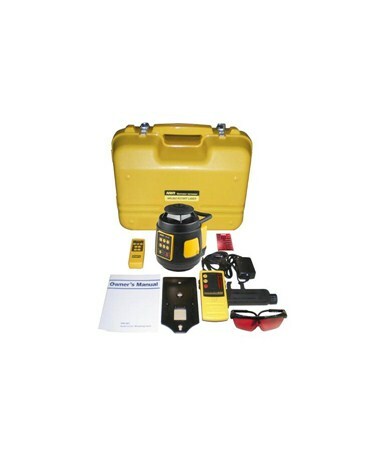 For a successful and errorless leveling operation, this rotary laser level includes a bump sensor, out-of-range alarms, and horizontal and plummet laser beams. With an IP54 rating, this rotating laser is protected from dust and water splashes. For a battery-saving function, it comes with an automatic shut-off feature. In addition, it includes a 5/8-11 tripod thread and uses a 635-nanometer red laser for a visible leveling experience. 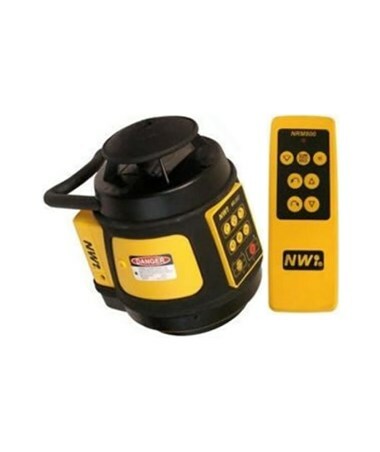 The Northwest Instrument NRL802 Series Self-Leveling Rotary Laser offers five packages with varying included accessories. All are supported by one-year limited warranty. Please choose from the drop-down menu above. 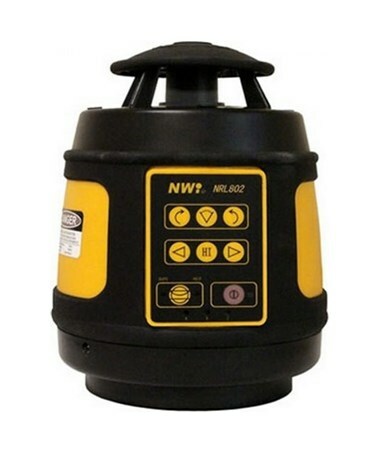 The Northwest Instrument NLD5G laser receiver allows locating red and infrared rotary laser beam easily in bright light and over long distances. It offers a visual reading on both sides of the laser receiver. This package includes tripod and aluminum grade rod. The aluminum grade rod is used to determine differences in elevation. The laser receiver can also be directly attached to this rod. Also included, the tripod is a portable three-legged frame that is used as a platform for supporting the rotary laser while doing leveling operations. Plus, it gives stability regardless of terrain. This package comes with a universal wall mount that provides fine adjustment for alignment applications and drop-ceiling installations.